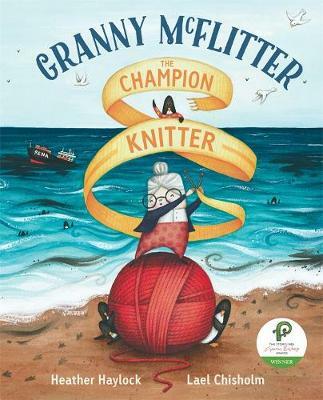 Based on true events, a lively picture book about a sprightly granny who knits warm jumpers for little blue penguins after the oil spill following the wrecking of the Rena, with illustrations by the winner of the Storylines Gavin Bishop Award. But did Granny stop knitting?Oh no, she did not!She kept right on knitting ...like it or not!Granny McFlitter's knitting was unstoppable! From cardies with spots to knitted fly swats, her knitting needles flew as she created knitted delights for her ever-despairing family. But then an opportunity arose to knit for a good cause- to keep the little blue penguins warm after the oil from the Rena had been cleaned off their feathers. This heart- and feathers-warming story with its important environmental message and award-winning illustrations will be sure to delight. About the author As a child, Heather Haylock could often be found reading a book while sitting on her horse, or perched way up high in a tree. She lives in Auckland where she has the best task in the world - helping five year olds learn to read books too. (But in a classroom, not on a horse or in a tree.) She loves the challenge of knitting words into stories. Now, thanks to her research for Granny McFlitter and the penguins, Heather is also able to knit yarn into jumpers. If you want to find her, try looking up. She may be reading or writing a book, or knitting a jumper, way up high in a tree. Heather's original manuscript of Granny McFlitter, the Champion Knitter was shortlisted for the Storylines Joy Cowley Award in 2012. About the illustrator Lael Chisholm has loved drawing ever since she was old enough to hold a pencil. After years of scribbling and doodling at school, home and any other place where a pen and paper was handy, she decided to call her scrawls art, and to share them with the world. Nowadays she spends her free time drawing at her home in Feilding. Lael's illustrations for Granny McFlitter, the Champion Knitter by Heather Haylock won the 2017 Storylines Gavin Bishop Award for Illustration.